The Arcadia Connection is a recurring feature in Network News that keeps you up to date with news about the Arcadia Analytics Dashboard and connects you with information about workflow improvements and best practices that improve measure performance. This issue of Arcadia Connection focuses on using gap reports and patient registries. 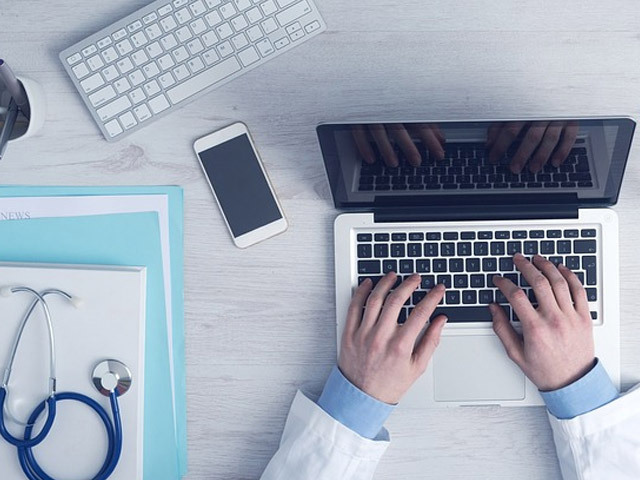 When you have a list of gaps in a given measure, it can be helpful to see which patients are already scheduled to come in before the end of the year, so you can use the scheduled appointment as a time to touch base about the existing quality gap. 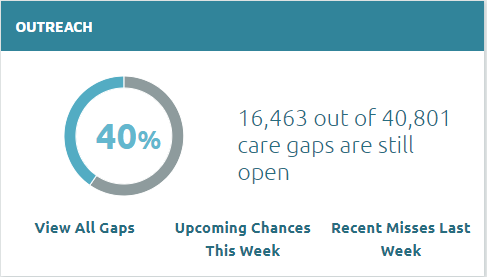 You can navigate to any Gap Report by clicking on the measure in your dashboard, and then selecting “View All Gaps” from the “Outreach” card on the lower right hand side of the screen. 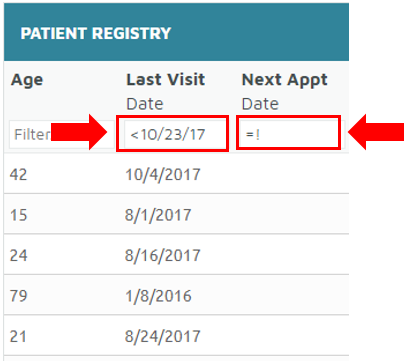 To see which patients have a visit already scheduled between now and the end of the year, simply click into the box that says “Filter…” underneath Next Appt Date. Then type in “<1/1/19” to get to appointments before January 1, 2019. This will show you a list of the patients with a gap in the measure you selected who are already scheduled to come in prior to the end of the year. To view your patients without a recent visit, you can navigate to the Patient Registry from the Patients module at the top. 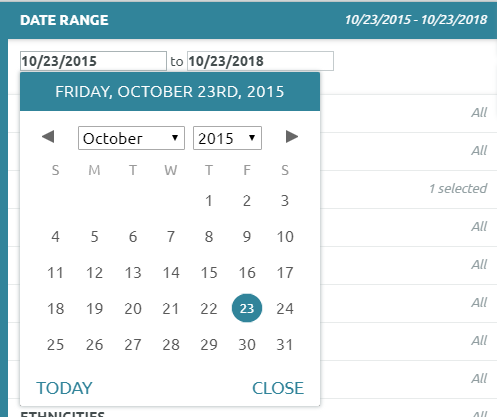 Please remember to update your date range from the 10 day lookback (we recommend looking back three years). You can also feel free to use the gear icon in the upper right hand side of the report to add or remove columns. Once the report looks as you’d like, you’ll want to look for a last visit date of over a year old (so when run on 10/23/18, you’ll use “<10/23/17”) and no Next Appt Date. To filter for that, you’ll type in “=!”. This will return all patients who haven’t been seen in a year and who don’t have a next appointment date scheduled, so they can be outreached. If you have any questions, please email Elizabeth Sharp or call her at (585) 758-2216.